To create an activation concept for Bugaboo strollers for the leading Baby Expo, "One Fine Baby" in Melbourne and Sydney. The concept considerations were: needs to be eye catching, creates a talking point, must emphasise the attributes of Bugaboo, bring to life the overall positioning line “there’s nothing like Bugaboo”, stand out from the 100+ other vendors also exhibiting. 5iveSenses, with their build partners, designed the Bugaboo Wheel Archway Sculpture. The living sculpture featured hundreds of wheels which is the lynchpin of any quality Bugaboo stroller. Additional consumer element was a "Chance to Win" by posting a picture of the Archway and estimating how many wheels were used for the complete installation. One Fine Baby Expo received a huge positive response and attracted queues of consumers throughout the day. Overall the activation was seen by over 100,000 consumers with over 10,000 Likes on Facebook alone for the Sydney event. 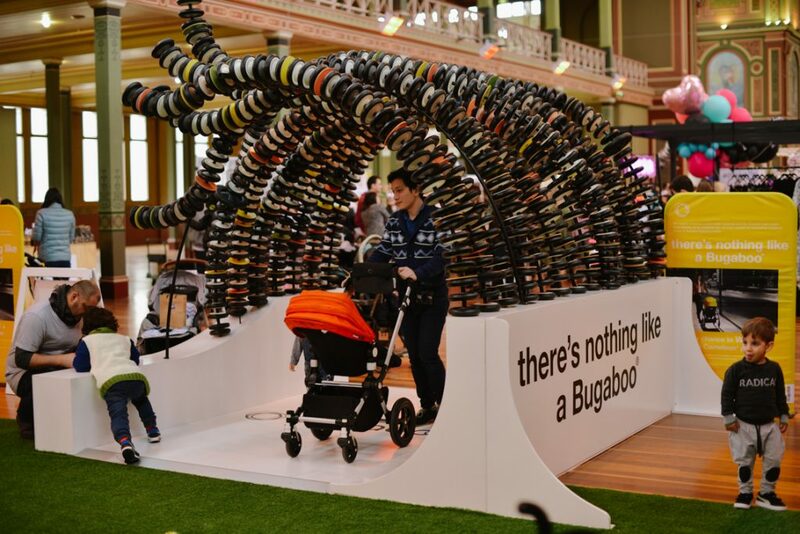 Team 5iveSenses completed an Experiential Marketing campaign for Bugaboo for the leading Baby Expo, “One Fine Baby” in Melbourne and Sydney. A Bugaboo wheel archway sculpture was built to create a talking point, capture the consumers attention, and communicate the idea that Bugaboo is “like no other”. This brief article outlines an overview of the campaign including the challenge, solution and finally the results. The campaign was activated during September 2017.